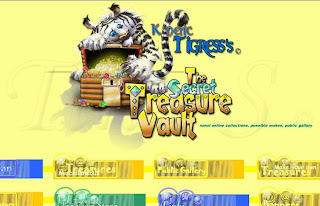 Treasure/collection site now up and renovated. But it still needs a few bugs worked out due to the aging of my web site builder program. The fonts mainly Arial does not show correctly when you see my site in the latest FireFox or InternetExplorer. I think WebSiteCreator could use an update. Its showing as Times Roman. Going to have to figure out a work around in the mean time. I also may go back and add a few teeny animated surprises to the title pic. But over all I really think the new renovations turned out great. 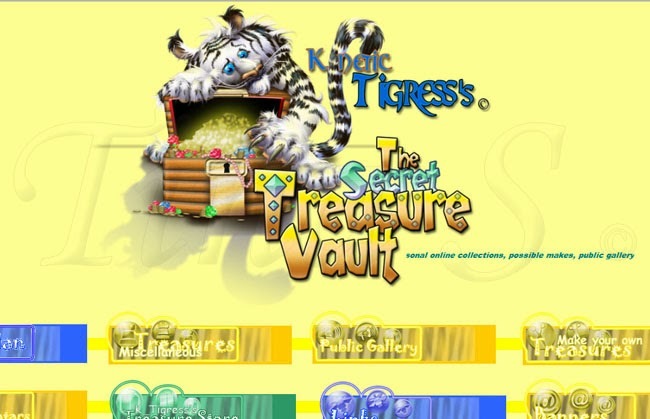 Also if you look carefully on my main site there is a secret way of getting to the treasure/collection site. Try and find it if you like.